280 pages | 18 B/W Illus. To the outside world, for some half a century, the words ‘Basque Country’ have provoked an almost instant association with the Euskadi ta Askatasuna (ETA - Basque Homeland and Liberty) separatist group, and violent conflict. The Basque Contention: Ethnicity, Politics, Violence attempts to undo this simplistic correlation, and for the first time, provide a definitive history of the wider political issues at the heart of the Basque Country. 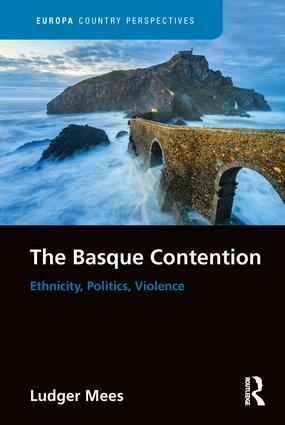 Drawing on three decades of research on Basque nationalism, Ludger Mees weaves together the various historical and contemporary strands of this contention: from the late medieval kingdoms of Spain and France and the first articulations of a Basque ethno-particularism, to the dissolution of ETA in 2018, and all manner of dictatorships, conflict, peace, civil war, political intrigue, hope and failure in-between. For anyone who has ever wanted to gain an insight into the Basque Country beyond the headlines of ETA, and grasp the complexity of its relationship with Spain, France and indeed itself, this volume provides a detailed, yet digestible, basis for such an understanding. Ludger Mees completed his PhD in History at the University of Bielefeld (Germany) and was Assistant Professor at the same institution before taking up a lectureship at the University of the Basque Country (Bilbao, Spain) in 1991. Since 2004 he has been full Professor of Contemporary History at the University of the Basque Country and between 2004 and 2009 he was also Vice-Chancellor. He is author, co-author or editor of 17 books and about 120 articles and book chapters in the fields of nationalism, social movements, historiography and agrarian history.